A few days ago, Wayne Talbot got chatting to a couple of fat blokes at Wet’n’Wild who wished they were somewhere else. One would have weighed more than 150kg. The other about 140kg. It was stinking hot and as they watched their children having fun, they were not enjoying themselves one little bit. 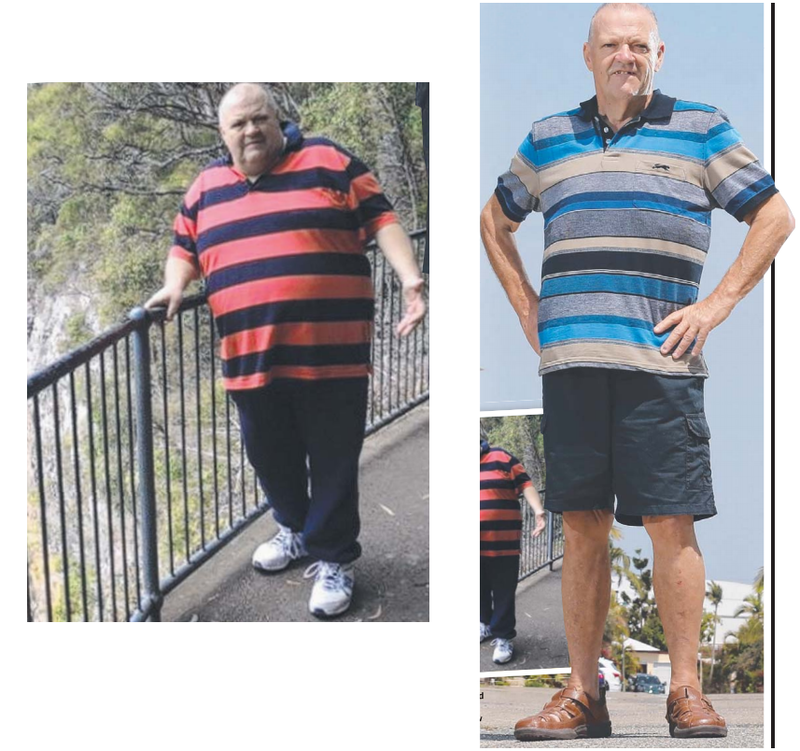 “And I said to them ‘Well, I used to be exactly the same’,” said Talbot, who has lost more than half his body weight since having weight loss surgery almost 18 months ago. Talbot wasn’t just fat. He was also sick. Type 2 diabetes. High blood pressure. Daily insulin injections. A blocked ventricle in his heart. Medication galore. 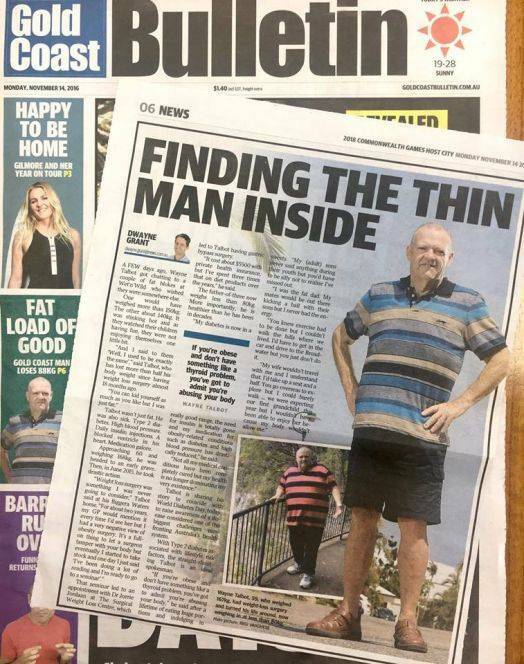 Approaching 60 and weighing 168kg, he was headed to an early grave. Then, in June 2015, he took drastic action. “Weight loss surgery was something I was never going to consider,” Talbot said at his Biggera Waters home. That seminar led to an appointment with Dr Jorrie Jordaan at The Surgical Weight Loss Centre, which to Talbot having gastric bypass surgery. “It cost about $5500 with private health insurance, but I’ve spent three times that on diet products over the years,” he said. The father-of-three now weighs less than 80kg. More importantly, he is healthier than he has been in decades. 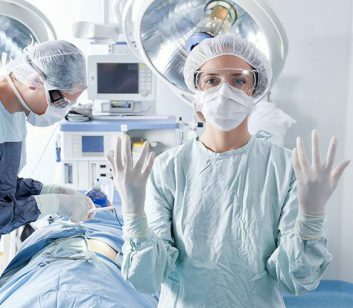 “My diabetes is now in a really good range, the need for insulin is totally gone and my medication for obesity-related conditions such as diabetes and high blood pressure has drastically reduced,” he said. Talbot is sharing his story to coincide with World Diabetes Day, which will be held on Monday [14 Nov.] to raise awareness of a disease that is considered one of the biggest challenges confronting Australia’s health system. With Type 2 diabetes associated with lifestyle risk factors, the straight-shooting Talbot is an ideal spokesman. “If you’re obese and don’t have something like a thyroid problem, you’ve got to admit you’re abusing your body,” he said after a lifetime of eating huge portions and indulging in sweets. “My (adult) sons never said anything during their youth but you’d have to be silly not to realise I’ve missed out. I was the fat dad. My mates would be out there kicking a ball with their sons but I never had the energy. “You knew exercise had to be done but I couldn’t walk the hills where we lived. I’d have to get in the car and drive to the Broadwater but you just don’t do it. Now Talbot’s the one providing the obese with food for thought. Speaking of which, how did the fat blokes at Wet’n’Wild take his surgery revelation? “They said it wasn’t for them – but I also said that for years,” he smiled.